The Federal Ministry for the Environment and the German Environment Agency launched the International Sustainable Chemistry Collaborative Centre (ISC3) about one year ago. 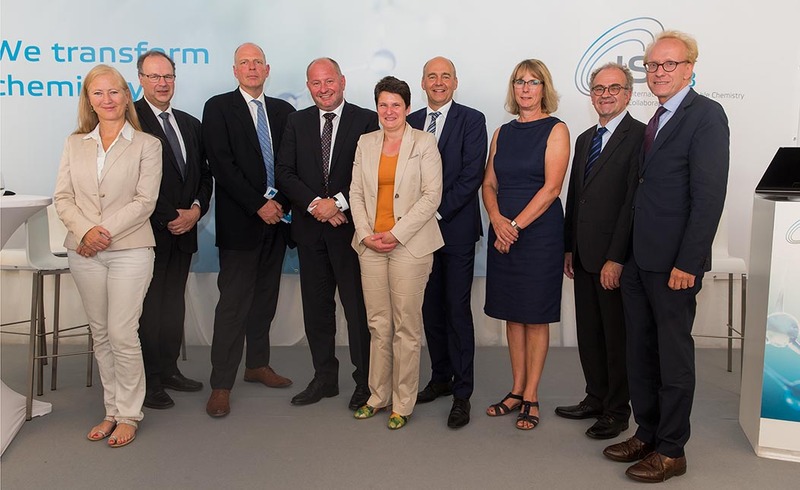 The guests of an anniversary event held in Bonn represented government, industry, science and civil society praising the Center’s successful start and looked ahead to the future tasks and goals of ISC3. Federal Environment Minister Svenja Schulze delivered the opening remarks at the conference. The ISC3 is an independent institution whose objective is to make a meaningful contribution to national and global chemicals policy and to promote the realisation and further development of sustainable chemistry in the interest of people, the environment and healthy economic development. It also aims to achieve the goals of the Agenda 2030 for Sustainable Development. Hosted by the Gesellschaft für Internationale Zusammenarbeit GIZ (German development cooperation), the Center has already enjoyed international recognition in its first year. Worldwide consumption of chemicals is on course to rise even further. Some estimates claim that turnover in the chemicals industry in 2030 will have nearly doubled compared to figures for 2015. The centres of chemical production and processing are shifting to non-OECD countries such as India, Indonesia, Vietnam and the Philippines. China's chemical industry has become the world leader. Construction chemicals are also gaining in significance. Global population growth and the trend toward urbanization are boosting the demand for living space and infrastructure. This means an increased need for building materials such as insulation, flame retardant coatings, sealants and surface coatings. The global market for construction chemicals is expected to grow by 9% every year up to 2025. Many construction chemicals are used in the immediate vicinity of people. Innovative solutions are required to meet the growth in global demand for building materials in a way which conserves resources and is low-emissions. Dr. Jutta Klasen, Head of Division "Chemical Safety" at the German Environment Agency, has issued a call to make sweeping changes, saying: "The examples from the construction sector show what a wide range of uses there is for chemicals and how many people are affected. We can only come up with sustainable solutions if all the parties involved work together – and that is exactly why there is the ISC3." Friedrich Barth, Managing Director of ISC3, added: “We bring companies in the chemical industry closer together with players on the demand side, for example in the automotive industry, construction, or agriculture. We are convinced that networks like these will come up with new solutions - large companies, research institutions and start-ups in collaboration with the people who need those solutions." Because many of the global challenges are closely linked to the use of chemicals ISC3 is already working to find solutions at the interface between environmental areas such as climate action, drinking water, air pollution and sustainable transport.